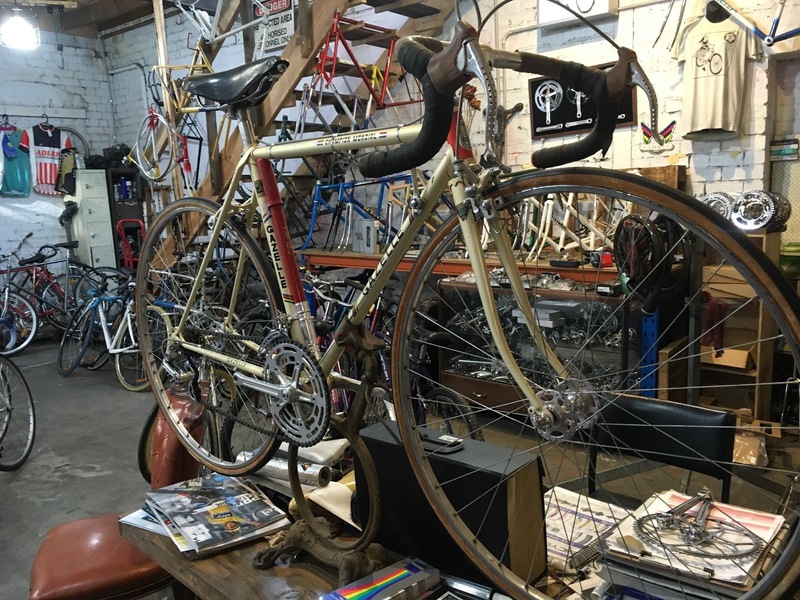 Perth Vintage Cycles: Mottainai Cycles, Melbourne. 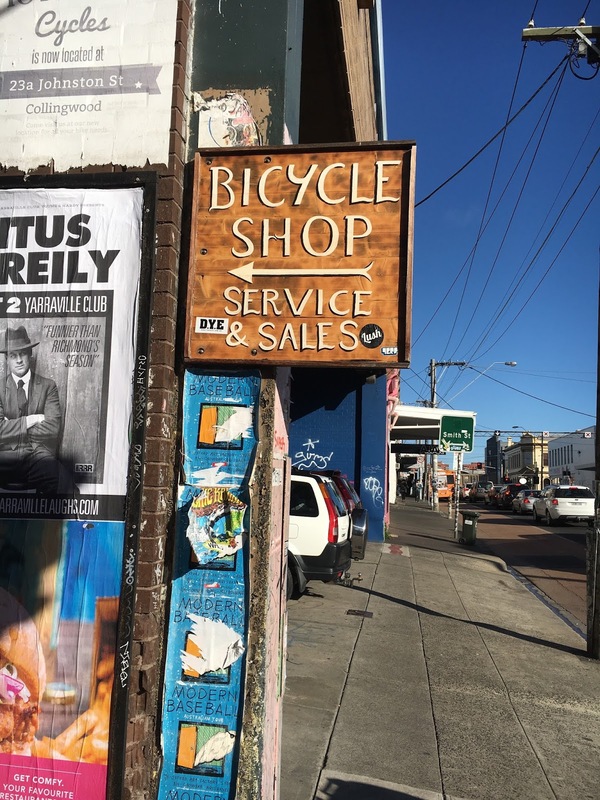 Tucked away at the end of a small Collingwood laneway awaits a unique bicycle store named Mottainai Cycles. 'Mottainai' (pronounced Mote-tie-nigh) is an old Buddhist word meaning "What a waste!" or "Don't waste." An English equivalent is the saying "Waste not, want not." A more elaborate meaning conveys a sense of value and worthiness and may be translated as "do not destroy (or lay waste to) that which is worthy". Mottainai Cycles excels in restoring vintage bicycles to their former glory and encourages the recycling philosophy that its name suggests. Waste not what can be restored! Focusing on the restoration of vintage and steel lugged bikes the shop is a treasure trove of valuable vintage and second hand bicycle parts from all over the world. 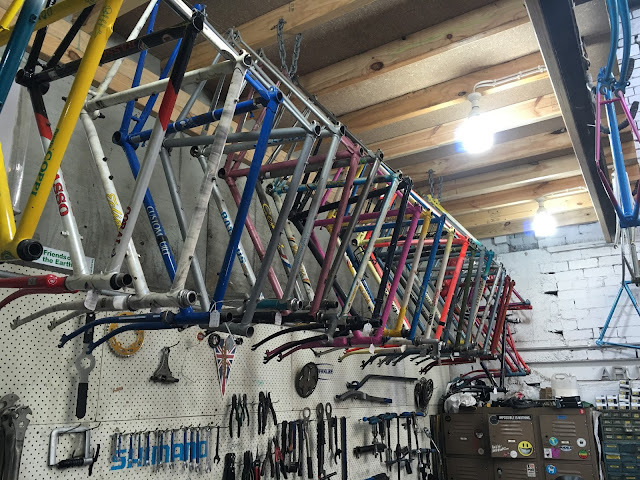 I recently visited the store and was very impressed with the lay back nature of a productive bicycle store that adds immense value to the local cycling community. 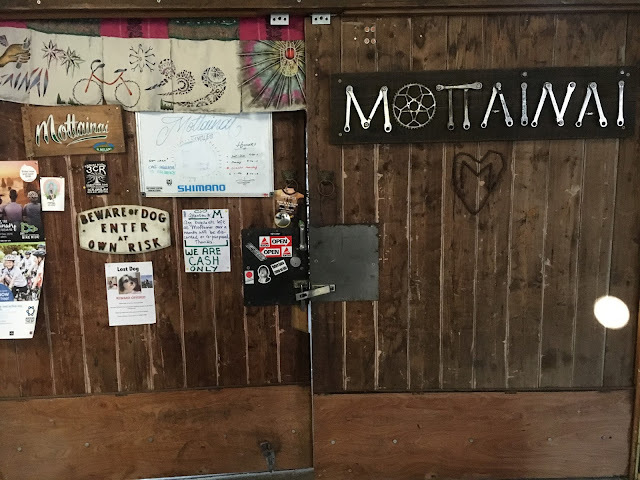 Melbourne has a very busy cycling culture and Mottainai Cycles certainly adds to the cultures diversity. 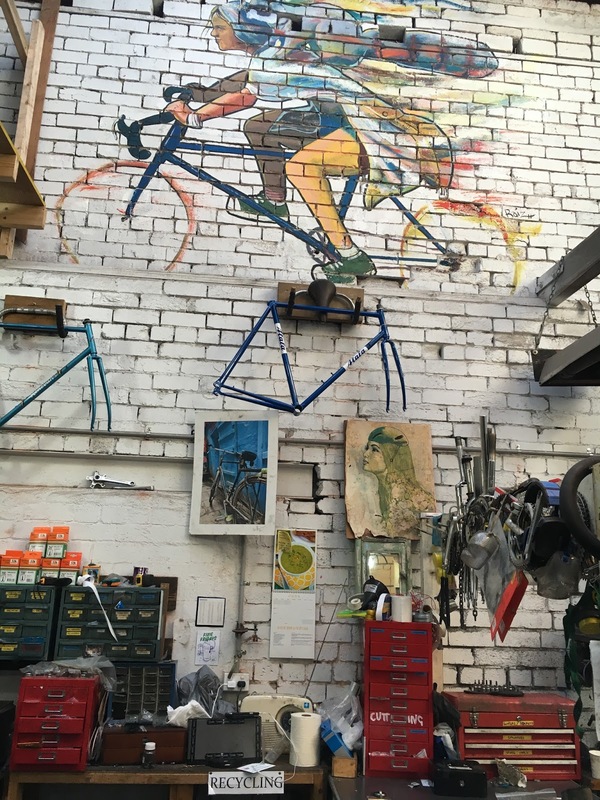 The mural on the workshop wall adds to the relaxed atmosphere of the store. On entry I was greeted by a Gazelle road bike on display, probably circa 1980's. 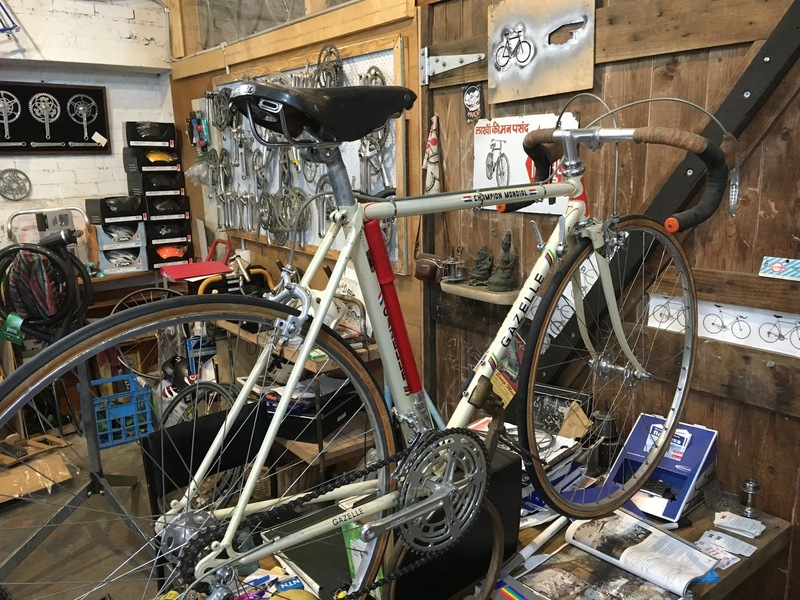 A fine example of a Dutch vintage road bike that is worthy of any vintage collection. 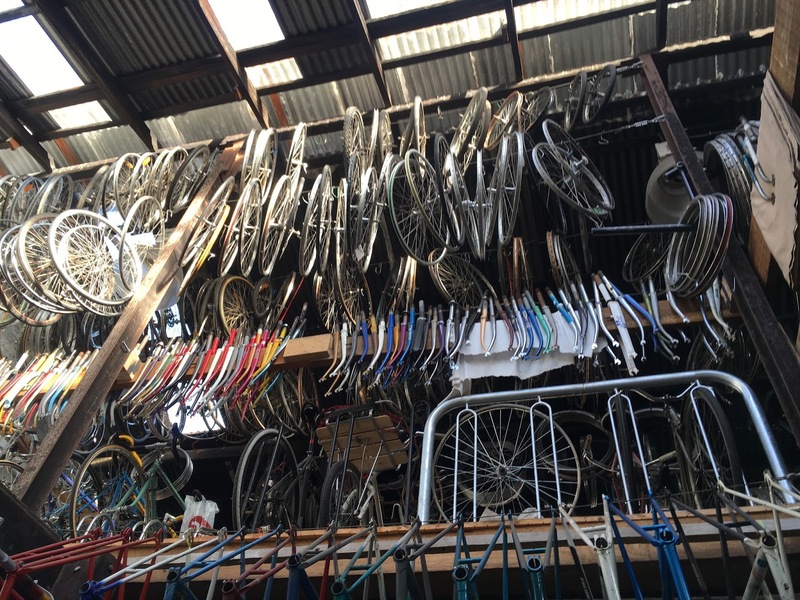 I was blown away with the vast array of bicycle frames, forks, and vintage parts on hand. 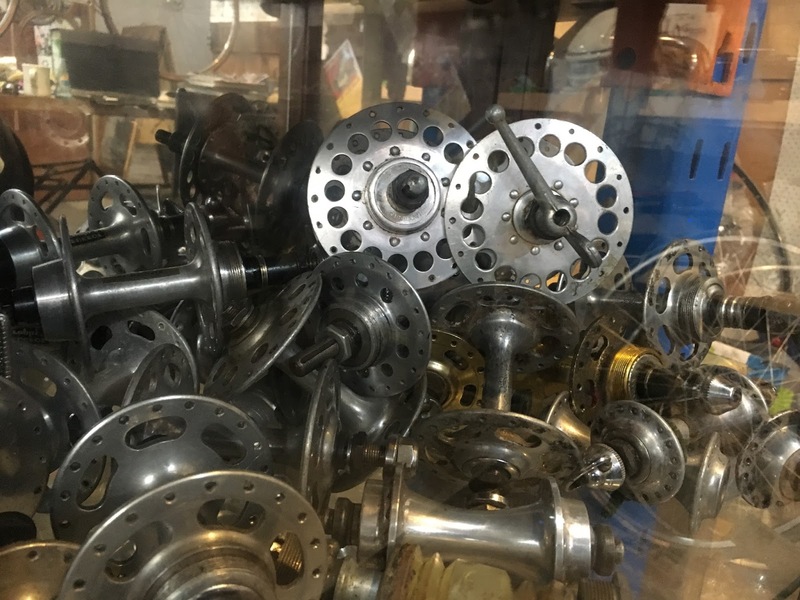 I could have spent hours looking at the large number of parts in the store but I was short of time. There was a good selection of high-end restored European classic road bikes - and (surprisingly) they were well priced. 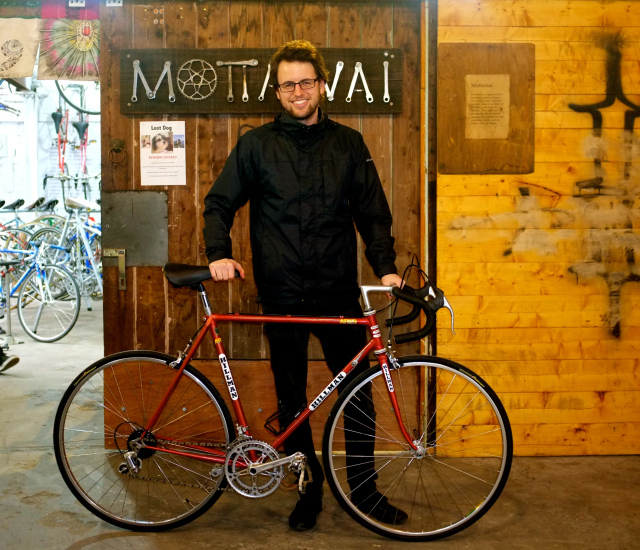 After each Mottainai restoration the proud owner is asked to accompany their valued bicycle in a photo shoot. A number of these photos are posted regularly on the Mottainai blog page, click on the link here to see more of their wonderful restorations. If you're in Melbourne and restoring a vintage bike a visit to the shop is a must. 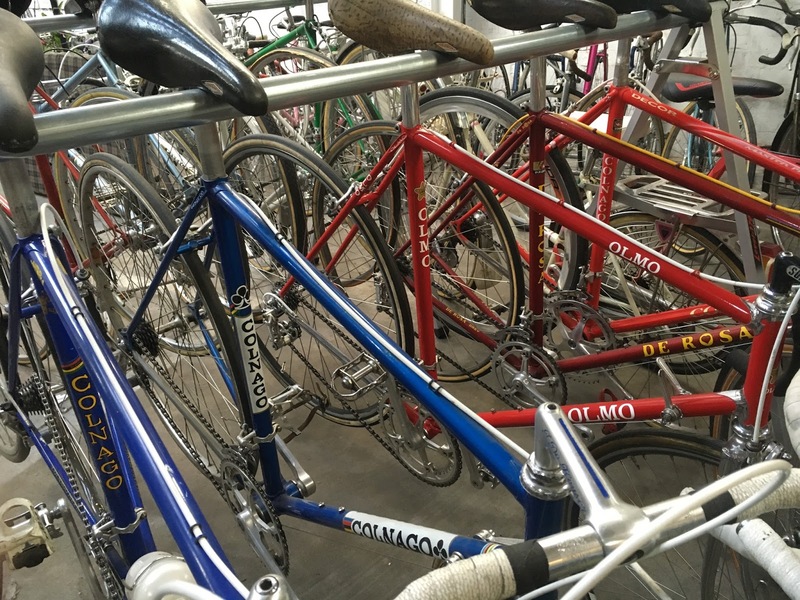 Forget Ebay.....you'll find all you need at a reasonable price at Mottainai Cycles. The store is located down the laneway at 23 Johnson Street, Collingwood. The shop is closed on Tuesdays but open every other day of the week. 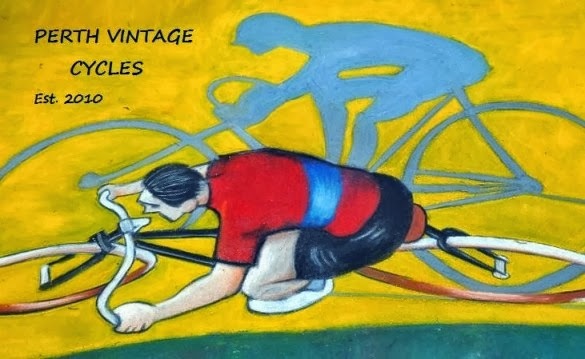 Check the blog page or the web for trading times.